Crossing series makes its glorious return. Summer might be a time where new games are few and far in-between, but SuperPhillip Central kept chugging out new reviews like there was no tomorrow. We began the month of June with a review of God of War: Ascension, receiving an 8.5. Following that, we had our first Better Late Than Never review with Darksiders II. All Death could muster was an above average 7.5 score. Next up we went retro with the original F-Zero, zooming to an 8.0. Then we went back to the AAA blockbuster category with Tomb Raider. 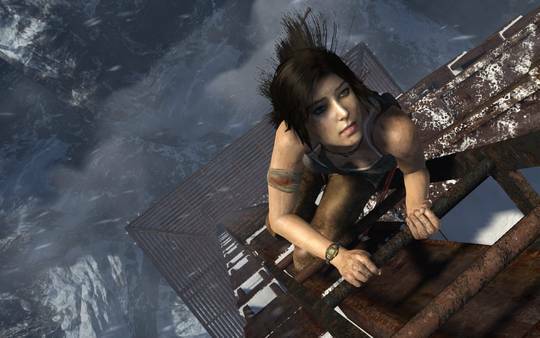 Ms. Lara Croft survived our review process and got an 8.75 for her efforts. We reviewed two more retro titles (though not nearly as old as F-Zero) with Fortune Street (7.25) and Metal Slug Anthology (8.0). We finally reviewed our PS3 Game of 2012 with our review of Journey (9.0). However, Journey was quickly usurped by our Game of the Month, Animal Crossing: New Leaf, delivering a 9.5-worthy experience. Lastly, Pandora's Tower proved difficult to review due to a freezing glitch at the end of the game. Not cool, XSEED Games. Not cool. Overall, it was a nice month for reviews, and we've got plenty of games to judge for July! made it through our rigorous reviewing process.